Deciding where to eat out can be a challenge when everyone craves different food and a different experience. 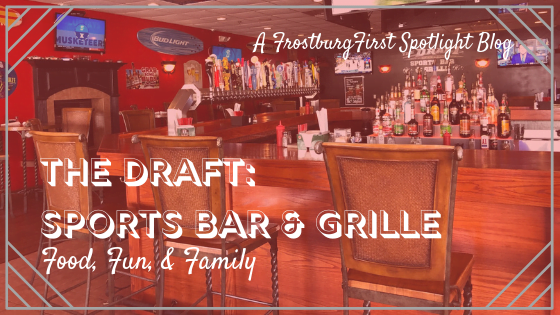 When in Frostburg there is no need to worry – no matter if you need the perfect place to enjoy a Sunday football game or to share a nice dinner with the whole family, The Draft Bar and Grille has you covered. The owners, Vivian and Greg Diehl, opened the full-service bar and restaurant in June of 2014. Their daughter, Alex Becker, has been the front of house manager since they opened, showing that the restaurant isn’t just family-friendly but a family business. Over the years the restaurant has built a solid base of regulars and solidified their place in the community. 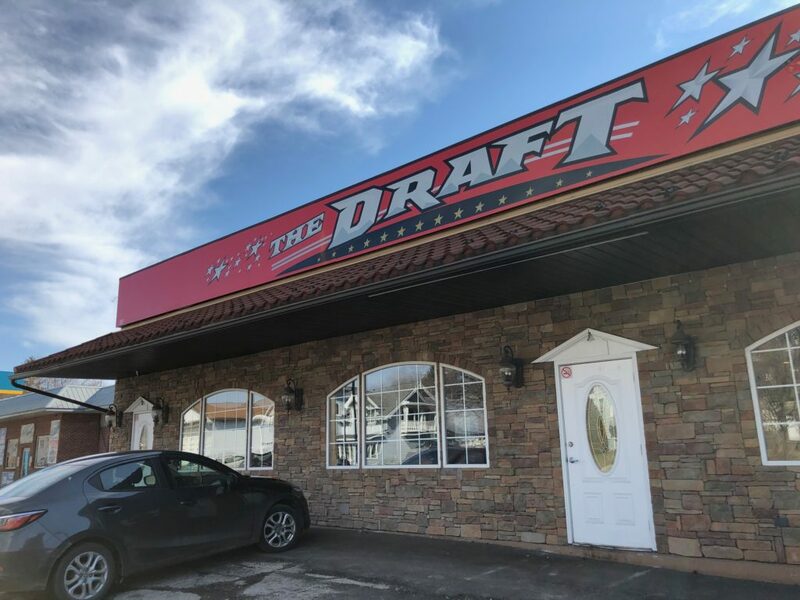 When speaking of the community members who are regular patrons of the restaurant, Alex shared that The Draft’s priority is to “give them a better experience” every time they come in. The food is made to order with fresh ingredients and served in large portions. 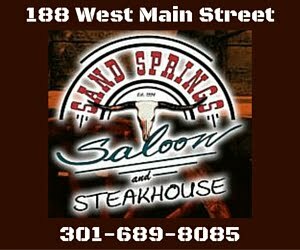 They offer a variety of appetizers, pastas, seafood dishes, and their unique stuffed burgers. They have 36 beers on tap and many community members have won “The 36 Beer Challenge” t-shirts for trying them all. The 22 HDTVs are always on and showing footage for fans of every sport. 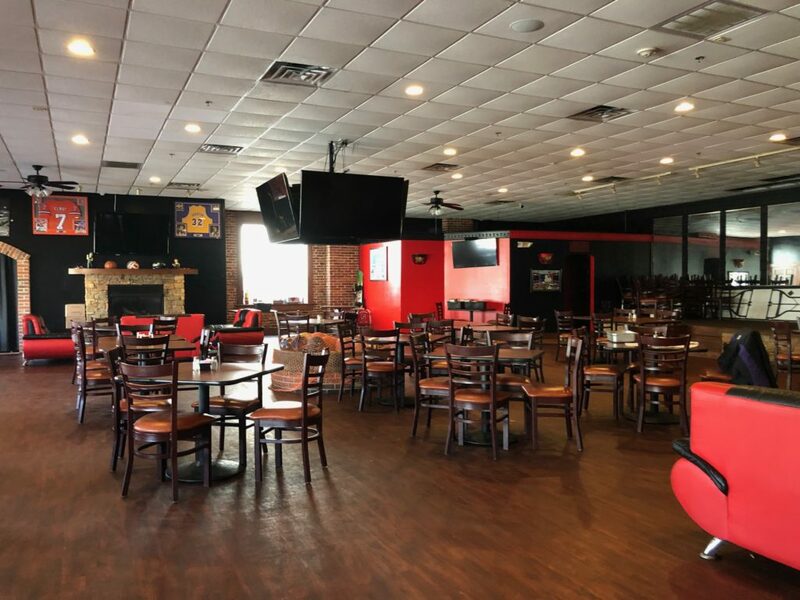 Splashes of red and black cover the walls full of sports memorabilia, HDTVs, and warm wood furniture. The large bar dominates the main dining room, the colorful array of beer taps lined up under three large flat screen TVs facing each corner of the room. Through double-doors off the main dining area is a much larger dining space that is used for Pasta Nights, rented for birthday and retirements parties, sorority formals, business dinners, and more. The room is decorated similarly to the rest of the restaurant but with the addition of comfortable couches and chairs. The Draft sponsors school events regularly and participates in Frostburg events such as the Shamrock Shuffle and Frostoberfest. They offer their own lineup of weekly events including wing night on Mondays, taco night on Wednesdays, and pasta night on Thursdays. During the pasta night, customers can choose from a list of pasta, sauces, toppings, and spices and watch their customized order by made right in front of them.